The Masters golf tournament weaves a hypnotic spell. It is the toughest ticket in sports, with black-market tickets selling for $10,000 and more. Success at Augusta National breeds legends, while failure can overshadow even the most brilliant of careers. 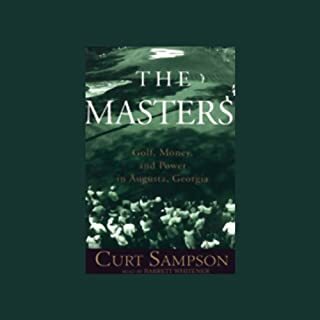 But as Curt Sampson reveals in The Masters, a cold heart beats behind the warm antebellum facade of this famous Augusta course. 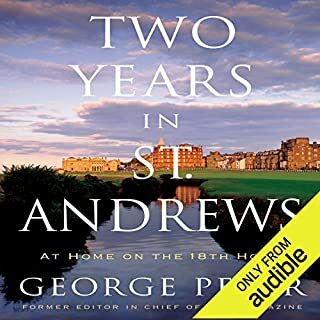 The Old Course at St. Andrews is to golfers what St. Peter's is to Catholics or the Western Wall is to Jews: hallowed ground, the course every golfer longs to play - and master. In 1983 George Peper was playing the Old Course when he hit a slice so hideous that he never found the ball. But in looking for it, he came across a For Sale sign on a stone town house alongside the famed eighteenth hole. Two months later he and his wife, Libby, became the proud owners of 9A Gibson Place. 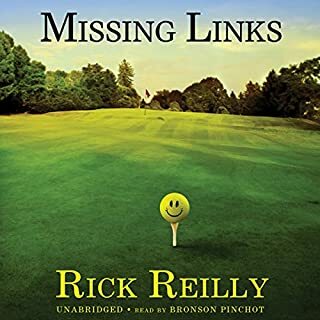 Missing Links is the story of four middle-class buddies who live outside Boston and play golf together at Ponkaquogue Municipal Golf Links and Deli, not so fondly known as Ponky. An 18-hole garbage dump with hazards that include a concrete river surrounded by a chain-link fence and the pillars of the elevated train that runs through the course, it is reputed to be the worst golf course in America. Lessons About Golf and Life from My Father, Claude Harmon, Sr.
Claude "Butch" Harmon is the world's number one golf coach. 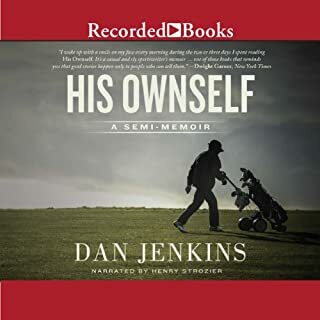 He taught Tiger Woods through one of the greatest stretches of victories in golf history (and, perhaps even more conspicuously, did not teach Tiger Woods following his unprecedented run), as well as superstars like Greg Norman, Adam Scott, Fred Couples, Darren Clarke, Natalie Gulbis, and Davis Love III. Ben Hogan was the hero no one knew. No one knew what drove him to practice until his hands bled. No one knew what private demons built the high walls that surrounded him. No one was even sure how he hit a golf ball with such godlike precision. He built a legend and a mystique that captivates golfers still. An unlikely champion. An unprecedented accomplishment. A powerful story of a man on the verge of becoming a legend - at a time when the nation needed every hero it could get. In the 1930s, Bobby Jones did what no golfer had done before - and what no golfer has done since - he won all four major championships in one year. This dominant performance earned him untold riches and the adoration of the public. He had two tickertape parades to commemorate his achievement. He dated starlets. 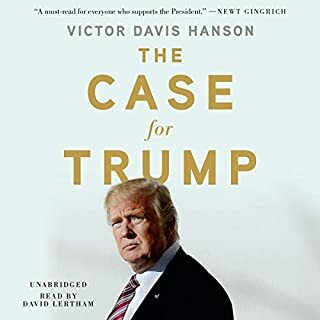 He became one of the best paid men in the country at a time when the Depression had ravaged the economy. Then, at the top of his game, he quit the sport. He walked away. 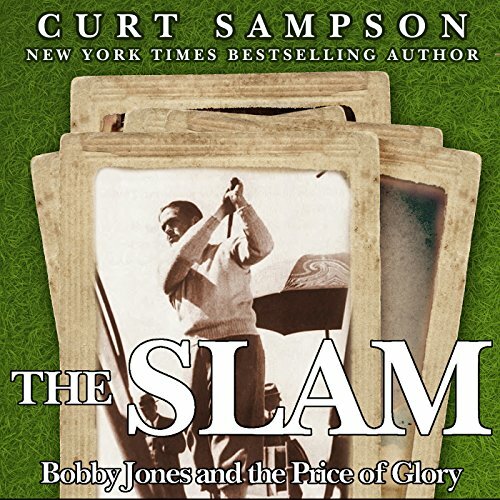 One of golf's greatest writers, the New York Times best-selling author Curt Sampson, focuses on the 1930 golf season and how Bobby Jones changed a country, how Jones exemplified an era, and how his own personal demons threatened to swallow him whole, even as he performed unparalleled feats on the greens. 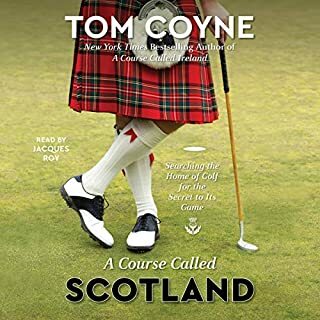 A must-have for golf fans, The Slam captures the essence of an era - equal parts compelling sports biography, sweeping social history, and stirring human drama. ©2005 Curt Sampson (P)2014 Audible Inc.
Sampson seems to have a vendetta against Jones. He does delve deeper into some areas that other authors have not. But, because of this, the book lacks flow. Coulter, or is it Col-taire, mispronounces many names. It's not "von Helm", nor "Hillerich & Bradbury ", nor "Paul Gal ICK o". Decent impersonation of Jones' voice, though.